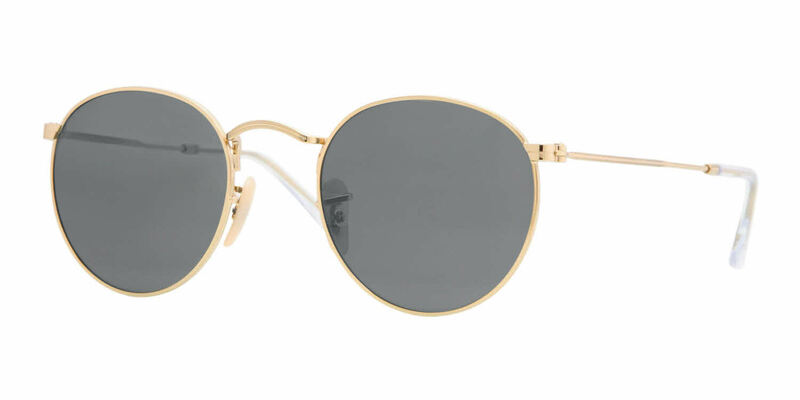 Ray-Ban RB3447 sunglasses are inspired by the 60's - but you don't have to be a vintage collector or flower child to look great in them. Recently bought these and LOVE THEM. They're very cool and unique! Perfect! It's a good fit. Having ordered my glasses from the UK I was a bit skeptical at first but the product I received is top quality as the prescription I asked for is perfect. The communication I received from one of the customer service assistants was also excellent and the glasses were even shipped with a pair of extra lenses at no further cost which is a lovely touch. I'm extremely happy with my order and highly recommend Frames Direct to anyone within the US as well as people abroad looking for new glasses at affordable prices. Great glasses. Perfect color, I can wear them indoors yet, they block the harmful rays of the sun. They are light and comfortable. The prescription is perfect. They look awesome! Best sun glasses I've ever owned. Love them. Thanks!